Accepts 22-26AWG solid or stranded Cable. Suitable for 110 or Krone punch down tool. 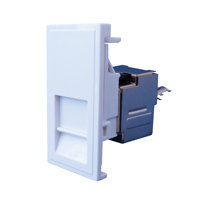 Fully Cat 6 compliant to ANSI/TIA/EIA 568 B.2-1 Standard. Fully Shielded.